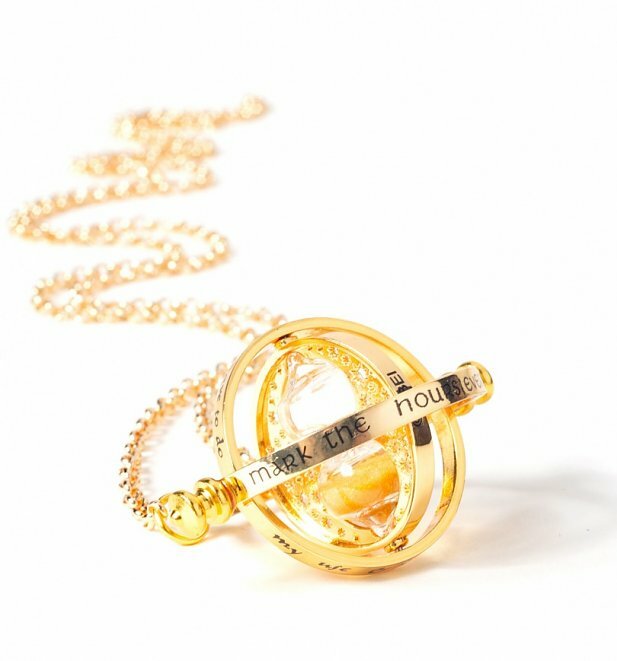 As worn by Hermione in Harry Potter and the Prisoner of Azkaban, prepare to be bewitched by this awesome Time-Turner necklace. The perfect gift for any Potter fan, the charm itself is a working, miniature spinning replica of the hourglass from the Harry Potter films and even comes with spinning inter rings. Unfortunately it can't turn back the clock but it can definitely turn an outfit from meh to magical!